2828 Peachtree is one of Buckhead’s most recognizable high-rises. Designed by renowned architectural firm Womack + Hampton, 2828 Peachtree stands 32 stories high and features 79 fabulous condominium residences. With a maximum total of just four units per floor, privacy and comfort define the lifestyle at 2828 Peachtree, which is how it continues to be so highly sought-after. Inside, 2828 Peachtree condos for sale typically include sprawling floor-to-ceiling windows, nicely appointed kitchen and bathroom features, large bedrooms with plenty of closet space, and even private balconies with amazing views of the neighborhood and city. 2828 Peachtree is also equipped with two high speed elevators and five floors of covered garage parking, not to mention a full compliment of luxury lifestyle amenities that include a sixth level swimming pool and garden terrace, a resident lounge with a catering kitchen, a fully equipped fitness facility and so much more. 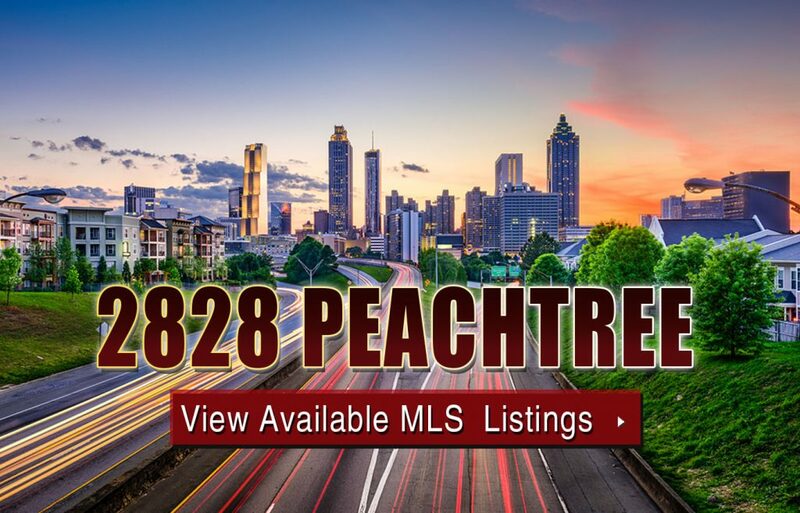 If you’d like more information about 2828 Peachtree condos for sale, contact the Zac Team today, or click below to start browsing active condo units currently listed on the MLS. Listed below are recently closed sales at 2828 Peachtree in Buckhead. Whether you’re thinking about buying or selling a condo at 2828 Peachtree Atlanta, checking to see what other comparable properties have sold for in recent weeks and months provides helpful insight into current market conditions within the community. For more information about 2828 Peachtree condos for sale or for a complete list of recent condos sold in the neighborhood, contact The Zac Team today! Can’t find what you’re looking for in Atlanta’s 2828 Peachtree condo building? Start browsing other Atlanta real estate for sale or give the Zac Team a call at (404) 564-7200 for help with your new home or condo search today!